miniOrange provides a ready to use solution for ExpressionEngine. This solution ensures that you are ready to roll out secure access to your ExpressionEngine site within minutes. miniOrange provides secure access to ExpressionEngine for enterprises and full control over access of applications, Single Sign On (SSO) into ExpressionEngine with one set of login credentials. miniOrange SAML Single Sign on (SSO) plugin acts as a SAML Service Provider which can be configured to establish the trust between the plugin and a SAML capable Identity Providers to securely authenticate the user to the ExpressionEngine site. Provides Single Sign-On functionality for admins to log into Control Panel using any SAML 2.0 compliant IdP. You can install and download the miniOrange SAML 2.0 SSO SP plugin in ExpressionEngine from EE Marketplace. Login / Register with your miniOrange credentials.This is just a one time setup to make it easier for us to get in touch with you in-case you need any support. In case you are stuck feel free to drop us a query from here. Step 3: Configure the plugin. Provide the required settings (i.e. Identity Provider Name, IdP Entity ID or Issuer, SAML Login URL, X.509 Certificate) from your IdP and save it. After filling these fields click On Save Settings button to save the details. 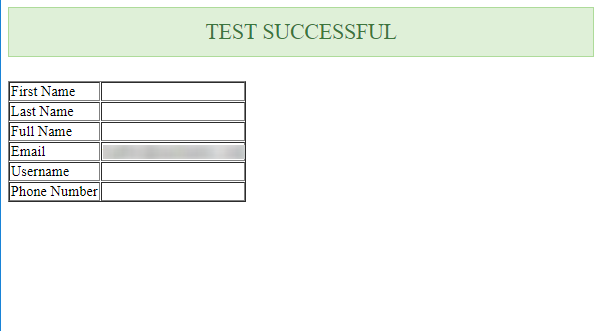 Click on Test configuration button and the User Details would be fetched. Go to " \system\ee\EllisLab\ExpressionEngine\View\account\login.php "
Go to your admin panel and you can see the SSO button has been added. If you don't find what you are looking for, please contact us at info@miniorange.com or call us at +1 978 658 9387 to find an answer to your question about Expression-engine Single Sign On(SSO).